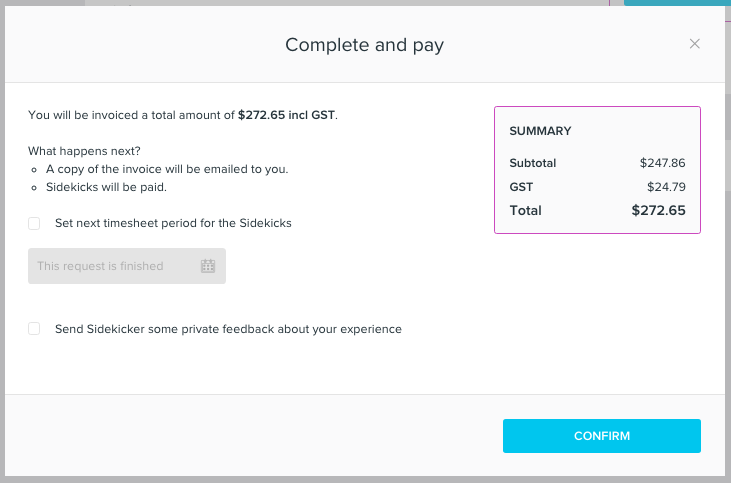 Once Sidekicks working your ongoing job has finished their shifts, they will submit their timesheet via their Sidekicker portal. You will be notified when their timesheet is ready to review. You will be able to review their hours and leave a review and rating as normal. When you complete your ongoing job you'll be given the option to set a new payment period. Once you've selected a new start and end date you can click Confirm. The previous shift will be completed and a new shift will be set up in your account for the new dates. Sidekicks will be automatically be added to the new shift. 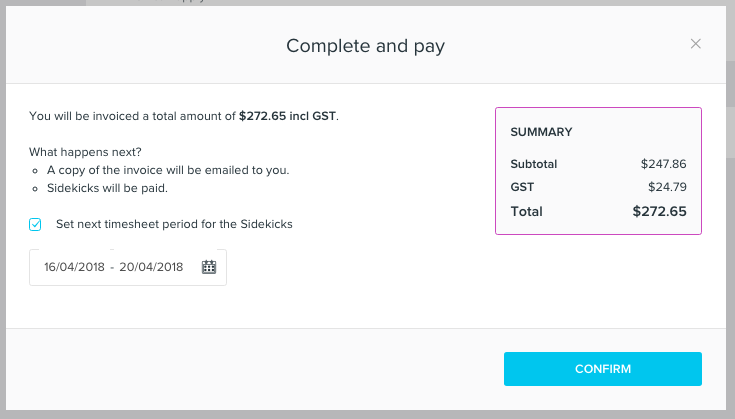 When your project has finished and the Sidekicks are no longer required, un-tick the option to set the next timesheet period for the Sidekicks before confirming.